Honor Veterans: Wounded Warrior Project Soldier Ride Rolls Through Washington D.C. Wounded Warrior Project Soldier Ride Rolls Through Washington D.C. Wounded Warrior Project® CEO Lt. Gen. (ret) Mike Linnington (l) with Army veteran Col. Greg Gadson. 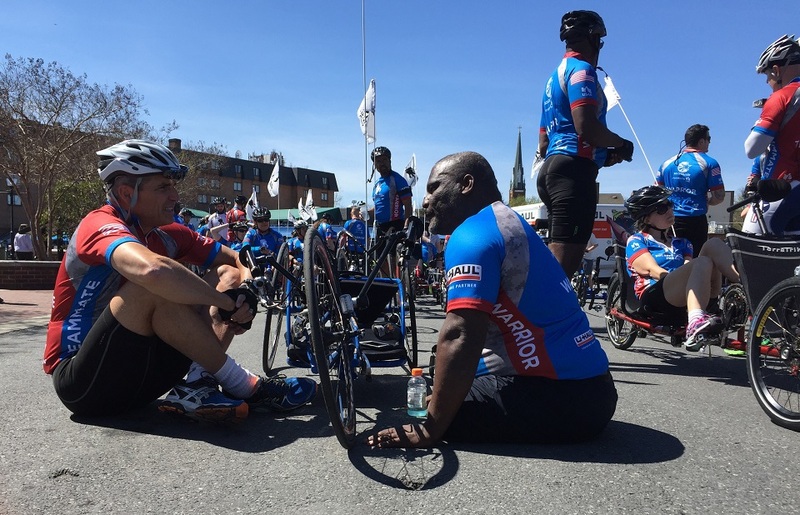 Washington, D.C. gave wounded veterans participating in Soldier Ride® D.C. a hero's welcome. Warriors in different stages of recovery are biking through the nation's capital on April 4-7 to bond and heal. Click on the image to see Wounded Warrior Project® CEO Lt. Gen. (ret) Mike Linnington and warrior Deven Schei talk to HLN's Michaela Pereira about how vital connection is for veterans in the transition to civilian life. Soldier Ride® is an opportunity for wounded service members and veterans to recreate military bonds through cycling to overcome physical, mental, or emotional wounds.